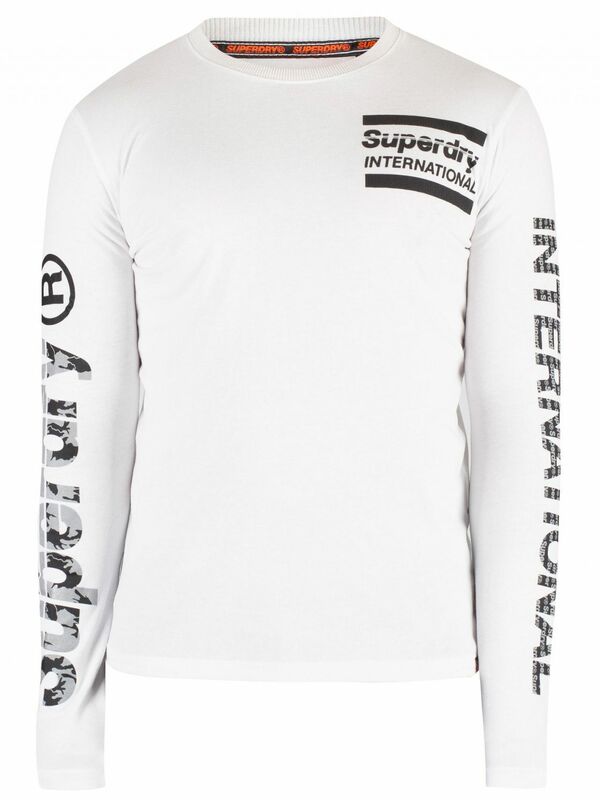 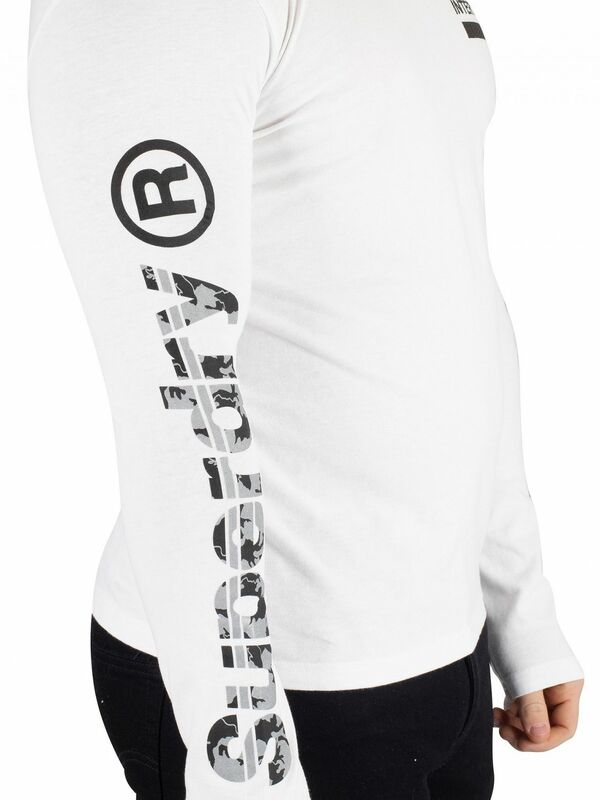 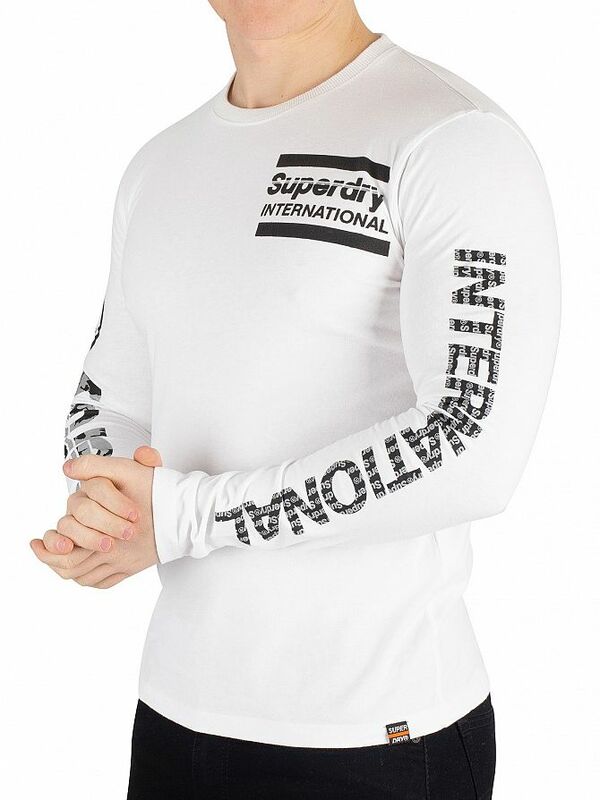 The International Monochrome Longsleeved T-Shirt from Superdry features a branded tag on hem. 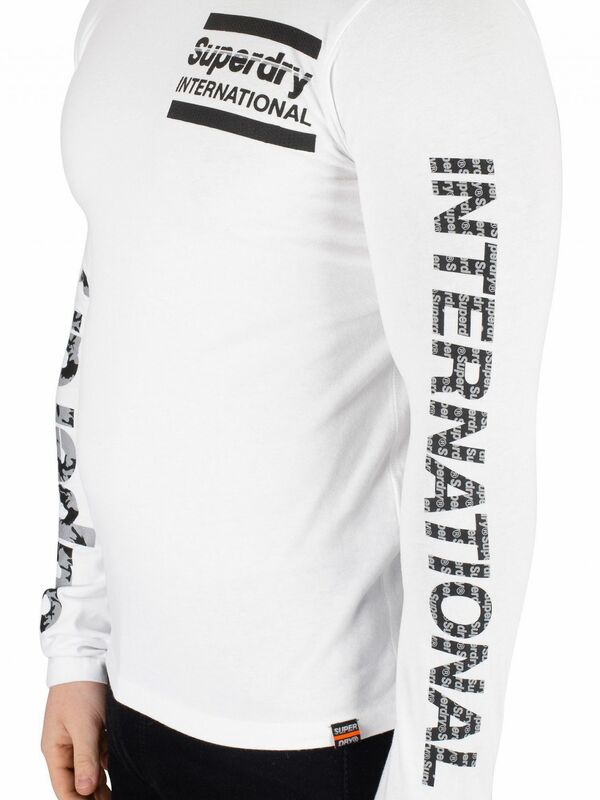 This tee for men also sports a straight hem, long sleeves and crew neck. 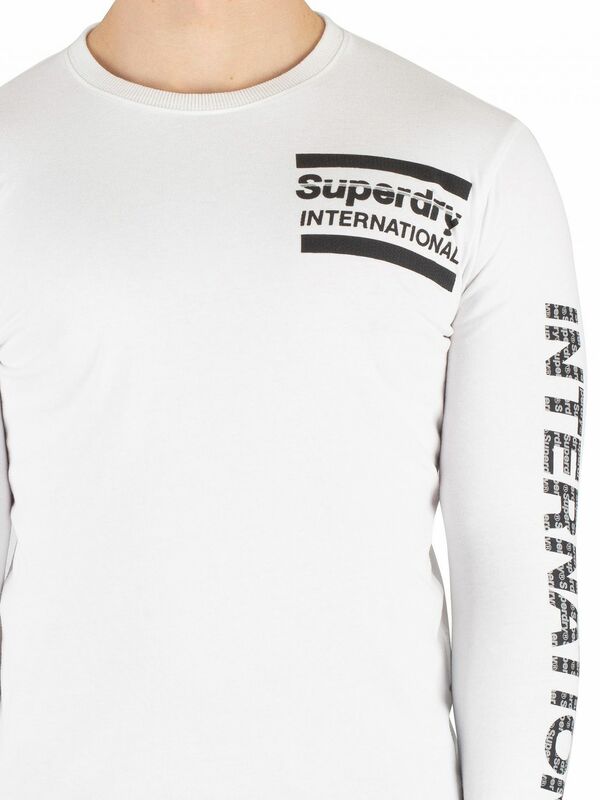 Coming in Optic colour, this t-shirt sports a rubber logo graphic on chest and branding down both sleeves.